By the early 1960s, St Ives was heaving with would-be artists, drawn to the southwestern tip of Cornwall to follow in the footsteps of Alfred Wallis, Ben Nicholson and Christopher Wood. Among them were Benny Sirota, who had arrived in St Ives with a plan to run boat trips from the harbour, and Leslie Illsley, a passionate sculptor and abstract artist, who were drinking buddies at the famous Sloop Inn. Both men shared a belief in the shortcomings of St Ives pottery. For Sirota and Illsley, neither of whom had received any formal training in pottery manufacture, Bernard Leach and his many followers lacked individualism. 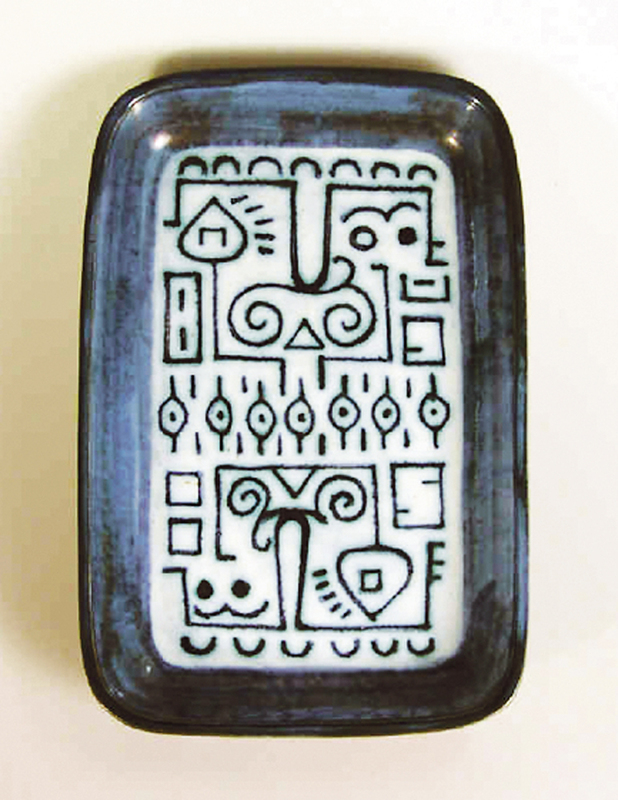 Their dream was to produce innovative mould-cast wares of their own and by 1963 the two men and sleeping partner Jan Thompson (a Swedish architect who sometimes helped out on Saturdays), invested £1000 each to acquire the stock and goodwill of the Wheel Dream, the Powell and Wells Studio Pottery. They chose the name Troika (meaning a Russian sleigh drawn by three horses) for its sharp, angular sound that hinted at the sharp, angular forms they had in mind for production. Despite some rather unconventional production ideas - slurry from the local tin mines, household emulsion paint and melted broken glass were among the materials employed - extraordinary objects began to emerge from the Troika kilns: tin-glazed wares with debts to Constantin Brancusi and Paul Klee, Cycladic masks with Aztec-style decoration and the heavily textured monolithic wares that were to become a trademark. They were still thriving in 1968 when Troika ware was first sold by Heals and Liberty in London and again in 1970 when they left the Wheel Dream for larger premises in Fradgan Place, Newlyn, with a staff of 15. It was not until the mid 1970s that changing public taste, declining tourism, tensions between Sirota and Illsley and economic strife saw the first cracks appear in the enterprise. Troika was finally wound up in December 1983. 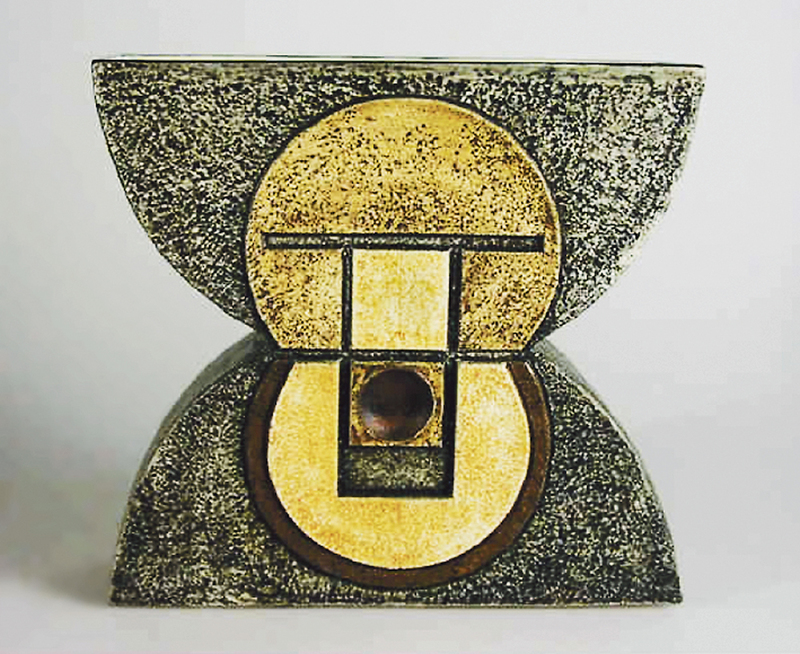 The singular ceramics produced at the Troika factory in the 1960s and 70s rank among the most distinctive wares of the period. Only a decade after the closure of the studio the first signs of a secondary market were emerging. 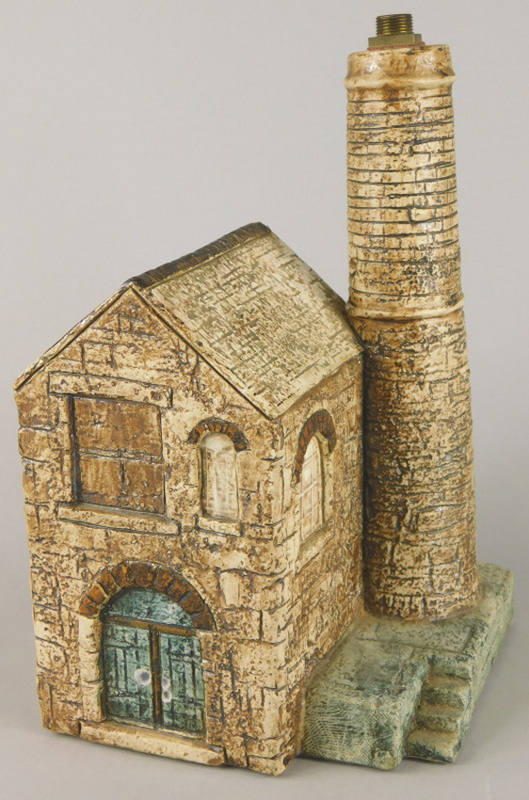 A book, Troika Pottery, St Ives by Carol Cashmore (now out of print and hard to find at much less than £100) was published in 1994, while in the same year decorative arts specialist Harry Lyons of the New Century Gallery held an important exhibition devoted to the factory on Kensington Church Street. It was this retrospective - where some of the more iconic 1960s designs sold for substantial sums - that provided the point of reference for pricing in the following years. The price structure for Troika changed several times in the following decade. Auctions at Christie's South Kensington and in Cornwall at David Lay of Penzance brought Troika to a wider audience that exploded when the internet became a perfect platform for trading in collectable ceramics. 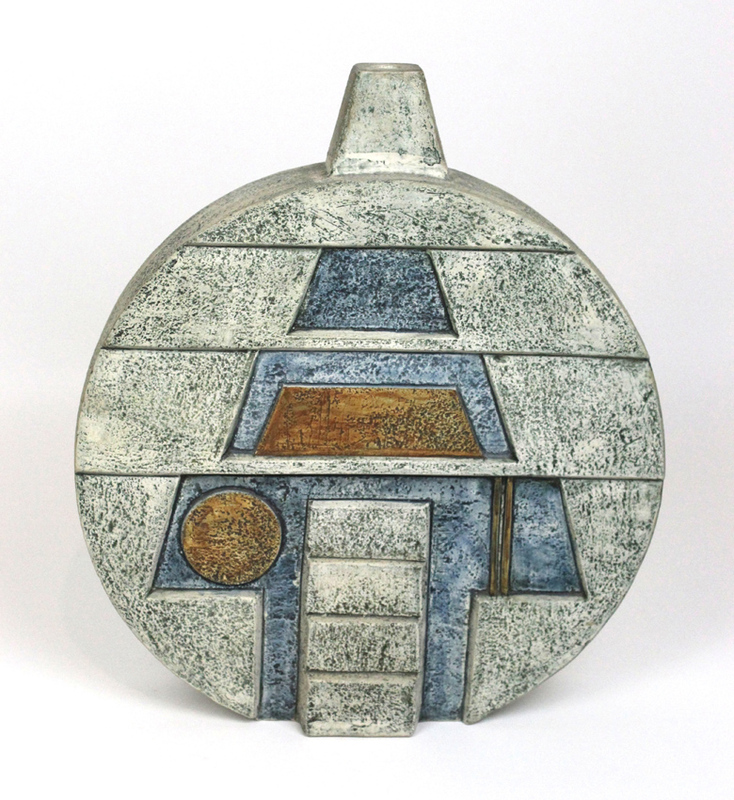 The Digital Museum of Cornish Ceramics remains a great source of information on the individual Troika artists, their work and their signatures. Betting on a rising market, it was the computer-literate 30- and 40-somethings - so elusive in many of the more traditional collecting areas - who sent prices skyward for Troika. This, alongside Baxter Whitefriars glass and Terry Frost abstract paintings, is the stuff of retro loft apartments and minimalist living. 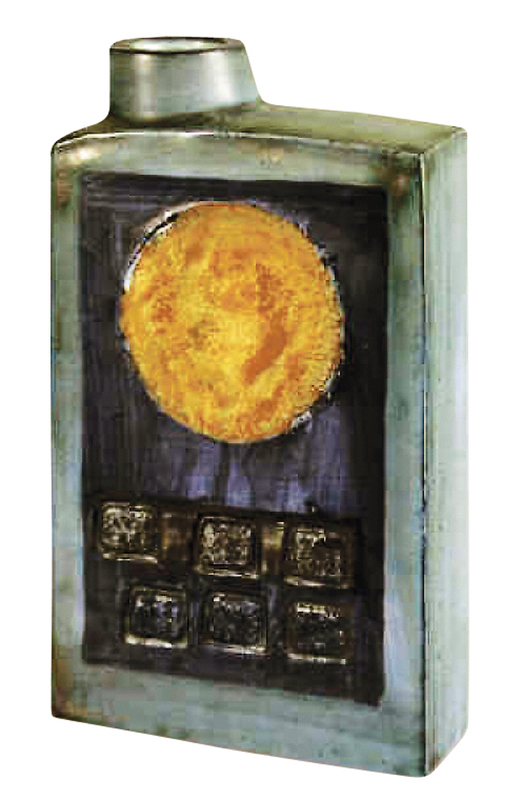 The high watermark of the Troika market was probably 2004 when a raft of forms - anvil vases, coffin vases, double-based lamps and mask vases - all hit record highs. 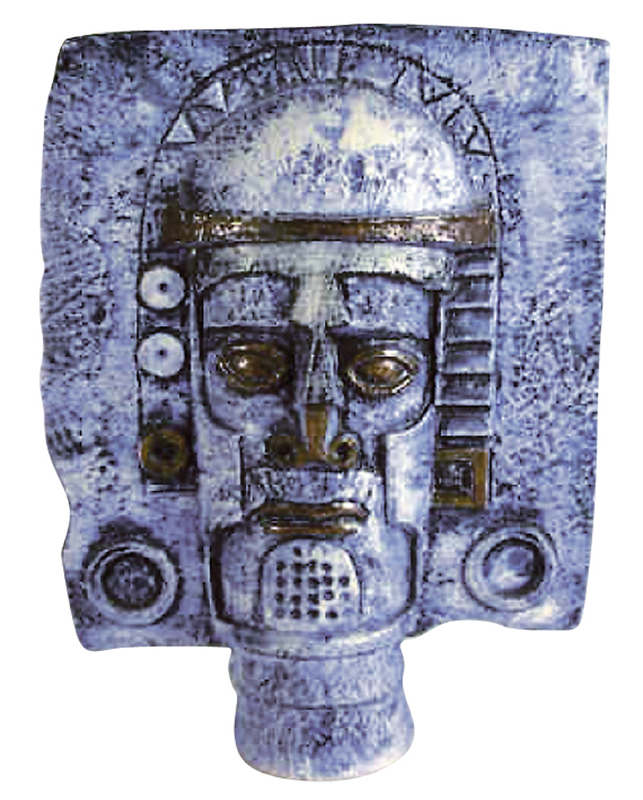 Interest in the Cycladic-Aztec mask vases, the defining productions of the Newlyn era that had been trading at around £500-700, began to hot up in 2003. Prices of around £800-1200 became the norm, before one of these 10in (25cm) high double-sided masks appeared on eBay and sold for over £2000. Prices for mask vases were hoisted yet higher at a sale of Troika in 2004 at Burstow & Hewett in East Sussex when a private collector bid £2700 for another example. 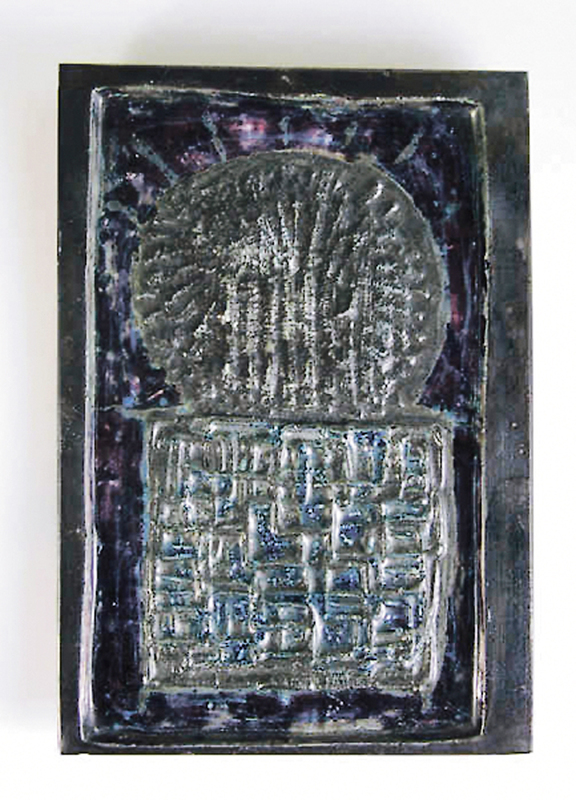 At the same time, dealer Paul Longthorne of the Market House Gallery in Marazion was negotiating the £3500 private sale of one of the white-glazed sculptural wares that featured in Troika's first exhibition at Heals of London in 1968, while a similar sum was paid on eBay for a Love plaque being sold by Benny Sirota himself. It gives some idea of the acceleration in the prices of Troika ceramics during this period that the publishers of George Perrott's Troika Ceramics of Cornwall (2003) chose to print a supplement price list only 12 months later as it was already out of date. Surely it could not continue? Today, that 2003 price list does not look so out of date. The market has proved very sensitive to the increasing supply which record prices invariably bring and 'values' are now erratic. Prices begin at around £50. 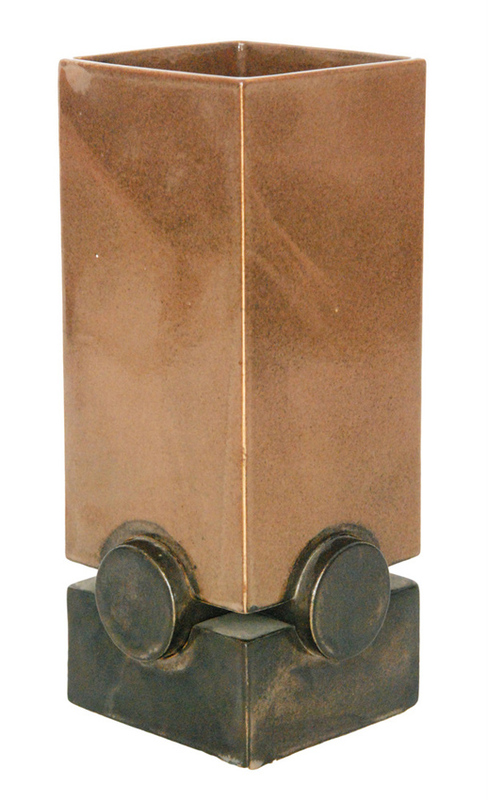 At the entry level are simple cylinder vases painted with a band of circles or the cube vase, one of the earliest shapes in the textured range produced in three sizes from 3in (7.5cm) to 6in (15cm) square. 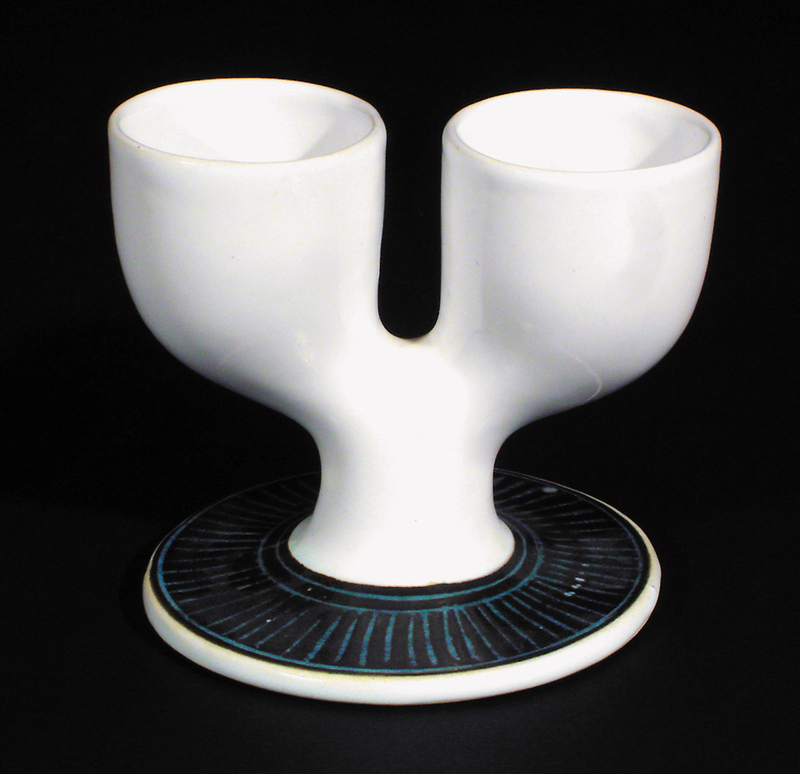 Double eggcups were produced at Troika on the instigation of Heals from the end of 1965. They proved a very successful line selling in their thousands at £1.05 each and are among the most commonly encountered forms today at up to £100 each. Some pieces such as the masks have fallen to pre-2000 levels (even a particularly well coloured example should not command more than £800) but substantial sums are still possible. 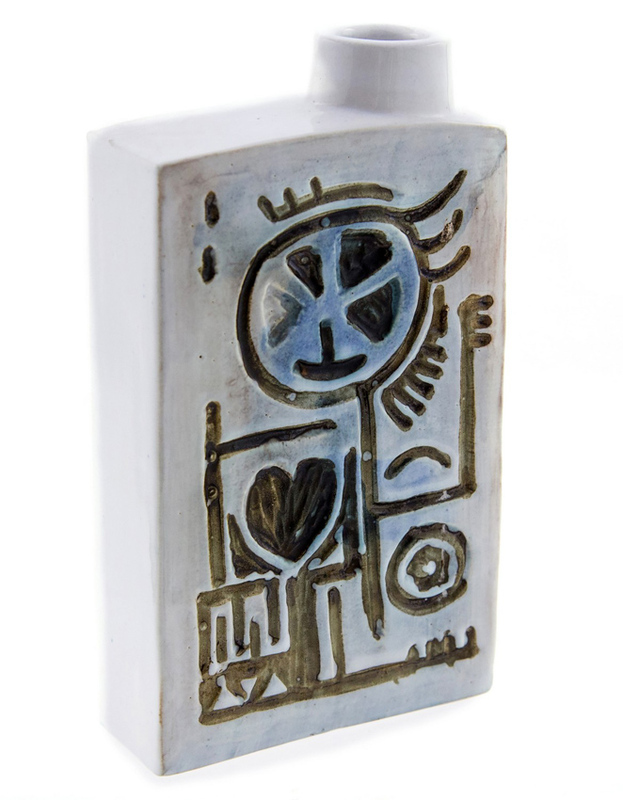 At Gorringes of Lewes in September 2011, a Gingerbread Man vase, a classic St Ives chimney vase decorated with a stylised figure to one side and a mask to the other, made £1500.